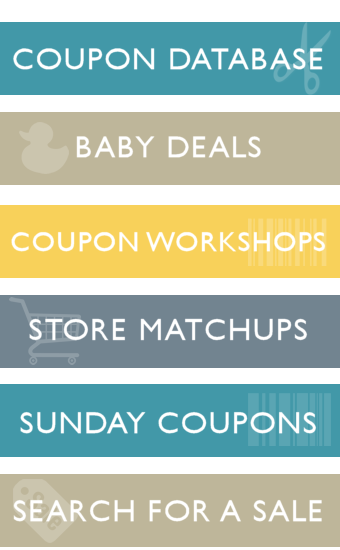 Here are 5 places you may have been missing coupons! 1. Doctors and Dentist Office. Many companies will try and promote their products through the medial community! I’ve found Lysol brand coupons at my doctor’s office and toothpaste and other oral care coupons at my Dentist’s office. If they don’t have them out for you to peruse (mine has a basket at check out) ask them! Many will have stacks and stack’s they have no idea what to do with! Don’t forget the vets office for pet products! 2. The Beer Aisle. In NC, beer/alcohol companies cannot offer coupons or rebates on their products. instead they will offer coupons on chips, produce, meat, snacks and more. Many people mistakenly think they will have to buy the beer to use the coupon but they often don’t! Read the fine print and you may be surprised! 3. Magazines. Lots of magazines have great coupons in it! There are many including Good Housekeeping, Weight Watchers and Red Book often include manufacturer coupons! Not always but it doesn’t hurt to look! 4. The Gas Station. My friend is always finding amazing coupons at her local gas station! Most of them are ones we never see in the newspaper or grocery stores! 5. Your email. Signing up with companies is a super way to get access to amazing coupons. For example- today Kelloggssent me 50¢ off ANY one Poptart and 50¢ off ANY one Cheez it. How perfect for Triple Coupons! Here is a list of manufacturers that offer email subscriptions. No promises on coupons but it’s a good place to start! Also be sure to use a dedicated email just for coupons! Be sure to contact your favorite brands and just ASK- I have a list of 300+ companies to contact here. Where else have you found unexpected coupons??? Thanks Martha: Use Code SPIDEYEXCITEMENT for an extra 20 points. We have all been there on the day where you desperately needed a few dollars just for gas, milk or some other necessity and it was too far to pay day to make it. Here are 5 Ways To Make Cash Today that have no upfront monetary cost. These aren’t things you can do on a daily basis but are things you can run to on occasion to help put a few much needed dollars into your empty pockets. My savings account is my security blanket. If we need new tires- having that account lets me feel secure that we will get new tires without racking up that debt again! 1.Put extra money in savings. I know- who has extra money right? If you budget $100 for your electricity bill each month and one month it’s only $88- then put that $12 difference in savings. That may not seem like much but over the year it can really add up. 2. Reduce your bills, put the excess in savings. Many times “add ons” get added onto your bills for services such as internet service, telephone, cable, etc. I recently found that I had a new charge for $10.99 on my last two bills for my internet. Some how I’d signed up for “Turbo Boost” or actually neglected to decline the service. We had made changes to our service so the extra fee wasn’t noticed the first month. I had upped our budgeted amount to the new amount and by removing it I was able to put $10.99 a month back into our savings account. Check your cable, internet, telephone bills. Really analyze them. Are you paying for service you don’t use? Remove those services and transfer that money to savings. 3. Do something you are paying someone else to do. We’ve talked about the cost of buying coffee out each day– instead of paying someone to brew the coffee for you make it at home. Instead of buying a pre-made salad at the grocery store or restaurant – make it yourself. There are lots of services we pay for others to do for us that are costly. Doing it ourselves can save a pretty penny. Then move that money into a savings account. Watching it grow will make those few extra minutes a day seem so worthwhile. I was amazed that one of my family’s prescriptions cost our entire $12 co-pay at most pharmacies but at our local grocery store? Just $3. That’s $9 a month saved. Now I can put that extra $9 into our savings account! With those items we buy every month, or week, we get into a routine of getting it at one location but by looking around we might find that someone else offers it much cheaper. 5. Move it before you see it. Our Credit Union allows us to move money automatically. So I set up that when my husband’s paycheck is put into the bank, a portion is automatically moved over into our savings account. It’s called a recurring transfer. I never actually see that money in our checking account so I pretend his paycheck is that slightly reduced amount. By never seeing it, it’s painless to save! As time goes on, try increasing that amount moved over ever so slighly every month. By the end of the year you might just find you are putting an extra $100 a month away and never even felt it! 1. Use it for starting seeds indoors. 2. Use it as a mold for bird feed. 3. Use it to make popsicles. Pour OJ or another juice in- let it set in the freezer a while and then add a Popsicle stick. Freeze until hard. 5. Use it to freeze extra gravy or sauces. When frozen remove from container and place in ziploc bags. Makes larger servings than a regular ice cube tray. We’re staring a new feature here on MoolaSavingMom! We have Make It Monday’s, What’s for Dinner Wednesday and now “Friday 5’s”. Each Friday we will share 5 uses for things, 5 places to get deals- 5 of something. I hope you like it! 5 Uses for Toothpaste- beyond your teeth! *These tips work with paste but not gel toothpaste. Always test a small area before proceeding. 2. Remove crayon marks from walls. 4. Clean up a CD. I’d only try this on a CD with light scratches but you can try buffing a CD with paste and fill in a shallow scratch to stop it from skipping. Better than throwing it away! 5. Remove stains. Always test on a small spot but toothpaste can often remove a stain in clothing. Proceed with caution because toothpaste often contains bleaching chemical that can remove the color from clothing.